Local elementary schools visited Brooksdale and sang Christmas songs for the residents. In return, residents provided gifts for the students. The Brookdale Wilsonville senior living facility is spreading the holiday spirit this season. Led by Sales Manager Natalia Ramona, residents at the facility recently donated dozens of gifts to children in the area, buckets of canned food to the Wilsonville Community Sharing food bank program and blankets and clothing to low income individuals. To facilitate the initiative, Brookdale bussed the seniors to retail stores and the seniors selected which items to purchase. Ramona said 87 residents donated gifts including baby dolls, Play-Do, a surfboard, a sled, teddy bears and remote control cars to the Marine Toys for Tots Program, where the Marine Toys For Tots Foundation collects toys and distributes them to less fortunate children. 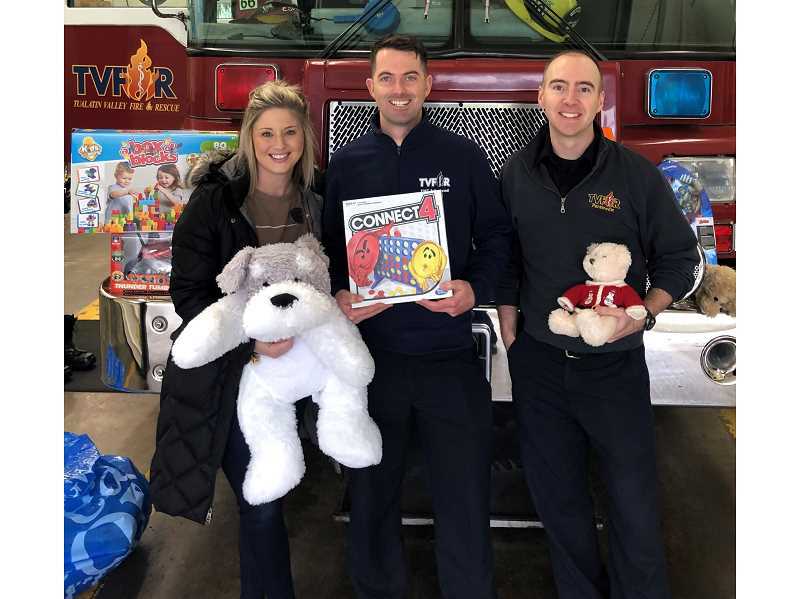 Ramona delivered the toys to a Tualatin Valley Fire and Rescue station drop off site and Toys for Tots organizers gave them to local children. 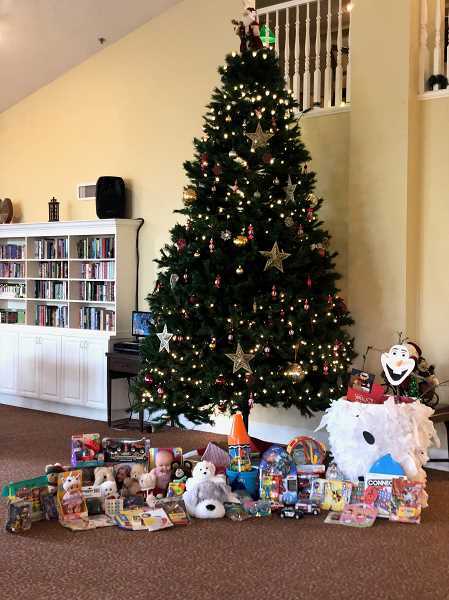 "This community (Brookdale) has (some) residents that are low income so the amount of toys we got was unbelievable because they don't have a lot of money to spend on toys. We got three garbage bins full of toys. It's pretty amazing," Ramona said. Additionally, local elementary schools visited Brooksdale and sang Christmas songs for the residents. In return, residents provided gifts for the students. "They (residents) love helping kids. We get a lot of preschoolers that come in and sing songs so all of our residents really enjoy spending time with little kids," Ramona said. "I think it's just easy for them to reach out and donate and help the community." Brookdale residents also provided blankets, slippers, pajamas, sweatshirts and toiletry and hygiene products and Ramona delivered them to various areas including the Department of Human Services, trailer parks and to people outside of a food bank in Mount Angel. "At first they (recipients) were shocked," Ramona said. "They didn't know how to react because I don't think they come across that every single day. But they were very grateful and I gave them a hug and we just went on our way." Ramona enjoyed her role in helping Brookdale residents make the holiday season a little happier. "I just started here about five months ago so coming into the community and knowing how much they give back already to the community is amazing and I just want to help everyone that needs help," she said. "And this team here is amazing. Everyone is hands on deck and will help donate whatever they can."